EuroEXA targets to provide the template for an upcoming exascale system by co-designing and implementing a petascale-level prototype with ground-breaking characteristics. To accomplish this, the project takes a holistic approach innovating both across the technology and the application/system software pillars. EuroEXA proposes a balanced architecture for compute and data-intensive applications, that builds on top of cost-efficient, modular-integration enabled by novel inter-die links, utilizes a novel processing unit and embraces FPGA acceleration for computational, networking and storage operations. EuroEXA hardware designers work together with system software experts optimizing the entire stack from language runtimes to low-level kernel drivers, and application developers that bring in a rich mix of key HPC applications from across climate/weather, physical/energy and life-science/bioinformatics domains to enable efficient system co-design and maximize the impact of the project. For more information please visit EuroEXA website. ACTiCLOUD aims to develop a novel cloud architecture that will break the existing scale-up and share-nothing barriers, and enable the holistic management of physical resources both at the local and distributed cloud site levels. ACTiCLOUD targets drastically improved utilization and scalability of resources. This will ultimately translate to: (i) significant cost and performance improvements for Cloud Service Providers, (ii) higher performance, stability, and lower pricing for cloud applications, and (iii) enhanced flexibility and scalability of cloud resources for intensive database applications that have until now faced tough challenges in covering their resource demands from existing cloud offerings. ACTiCLOUD aims to enhance the viability of cloud deployment scenarios through enhancement of the various technology ingredients, i.e., the hypervisor, the cloud manager, system libraries, language runtimes, and database systems, with a novel and holistic set of mechanisms and policies built on top of these new-generation computing system architectures. Thus, ACTiCLOUD will enable a distributed, hyper-converged, “share-anything”, resource scale-out cloud platform to broaden the applicability of cloud technologies across more markets through richer and more cost effective application deployments. For more information please visit ACTiCLOUD website. This research has received funding from the European Union’s Horizon 2020 research and innovation programme under Grant Agreement no. 732366 (ACTiCLOUD). BONSEYES is an open and expandable AI platform. It will transform AI development from a cloud-centric model, dominated by large internet companies, to an edge device-centric model through a marketplace and an open AI platform. For more information please visit BONSEYES’s webpage. Establishing a strong consortium of logistics stakeholders and ICT providers, that can leverage EU IP from over 40 projects so as to create proof of concept of Common Communication and Navigation platforms for pan-European logistics applications in 8 living labs (LLs) representing the principal logistics communities. Its mission is to establish a digital B2B and B2A services network which consists of ‘shared logistics intelligent information spaces’, implemented via the SELIS Community Nodes (SCNs). SCNs will support connecting and sharing resources intra- and cross- communities, enabling logistics communities to adopt innovative business models and to participate in a future European Collaborative and Agile, Green Logistics and Transportation system. The SCN’s fundamental principle is that it provides a ‘lightweight ICT infrastructure’ to enable information sharing for collaborative sustainable logistics for all strategic and operational levels. For more information please visit SELIS’s website. The project has received funding from the European Union’s Horizon 2020 research and innovation programme under the Grant Agreement No 690588. 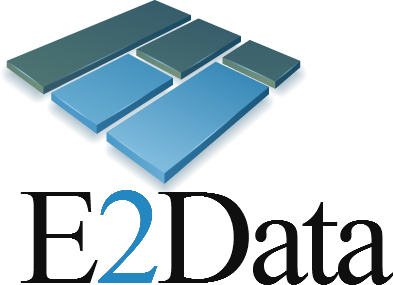 E2Data proposes an end-to-end solution for Big Data deployments that will fully exploit and advance the state-of-the-art in infrastructure services by delivering a performance increase of up to 10x while utilizing up to 50% less cloud resources. This project has received funding from the European Union’s Horizon 2020 research and innovation programme under grant agreement No.780245(H2020-ICT-2017-1). For more information please visit ASAP’s website. This project has received funding from the European Union’s Seventh Framework Programme for research, technological development and demonstration under grant agreement no 619706 (FP7-ICT-2013-11). For more information please visit DOLFIN’s website. This project has received funding from the European Union’s Seventh Framework Programme for research, technological development and demonstration under grant agreement no 609140 (FP7-SMARTCITIES-2013). This project has received funding from the European Union’s Seventh Framework Programme for research, technological development and demonstration under grant agreement no 317790 (FP7-ICT-2011-8). This project describes an integrated system that will support multiple parallel run-time systems in multicore platforms. Modern advancements in processor designs and utilization of computing resources in almost all aspects of human activities have created new, unsupported execution scenarios for applications. Interestingly, today’s mobile phones have the same computational power as desktop computers did a few years ago, while scientific applications can be executed on server platforms, game consoles or large-scale infrastructures build for IT and offered to scientists via cloud-computing technology. Traditional system software approaches including Operating Systems (OS), Virtualization Layers and Run-time Systems (RTS) for parallel languages are by design inadequate to achieve efficient resource utilization in such scenarios, where multiple, diverse parallel programs co-exist in a multicore execution platform. This can result in poor performance and severe power waste. I-PARTS proposes a holistic, two-level approach, where the RTS of the parallel language, and the OS cooperate closely to enable efficient utilization of resources. Regarding the RTS, I-PARTS enhances its current functionality beyond local task scheduling, to system introspection and program adaptation. Regarding the OS, I-PARTS promotes its role to a central orchestrating system component, where global resource allocation policies are decided and enforced. Finally, OS and RTS interaction within the proposed project aims at breaking the barriers between these critical software components in order to enable information flow that will be utilized towards more elaborate decisions and actions. The PRESEMT project proposes a novel approach to the problem of Machine Translation by introducing cross-disciplinary techniques, mainly borrowed from the machine learning and computational intelligence domains, in the MT paradigm. To this end, a flexible MT system will be developed, which will be enhanced with (a) pattern recognition approaches (such as extended clustering or neural networks) towards the development of a language-independent analysis and (b) evolutionary computation (such as Genetic Algorithms or Swarm Intelligence) for system optimisation. For more info please visit PRESEMT’s website. This project has received funding from the European Union’s Seventh Framework Programme for research, technological development and demonstration under “ICT-2009.2.2: Language-based Interaction”. MoDisSENSE enriches social networking services by exploiting the continuous data flow from the daily use of mobile phones. This flow includes data from user visited locations, contacts, calls and calendar combined with data acquired from the user’s social network (list of friends, profile and preferences). The project combines these heterogeneous data sources (geographic and social log files, user profiles and preferences and context information) and offers innovative services based on advanced searches and combined queries that exploit all these aforementioned sources by utilizing state-of-the art distributed data processing techniques. Furthermore, the project deals with the development and deployment of services that exploit spatiotemporal data generated by user paths. The design of a generic middleware for efficient search and retrieval of annotated content in a distributed Grid environment has been largely motivated by the requirements posed by the GREDIA research project, supported by the European Committee. GREDIA’s main objective is the development of a Grid application platform, providing high level support for the implementation of Grid business applications through a flexible graphical user interface. This generic platform facilitated the provision of business services, which mainly demand access and sharing of large quantities of distributed annotated numerical and multimedia content. Furthermore, the GREDIA platform exploited Grid technologies to enable access to the distributed content by mobile devices. A user may access the platform in order to upload content or perform searches. For more info please visit GREDIA’s website. This project has received funding from the European Union’s Sixth Framework Programme for research, technological development and demonstration under grant “FP6 34363 – Grid enabled access to rich media content”. The main objective of Grid4All is to research and develop a democratic Grid, that enables individual users to draw upon internet resources for their applications without having to invest in IT infrastructure. Grid4All embraces the vision of a democratic Grid as a ubiquitous utility whereby domestic users, small organisations and enterprises may draw on resources on the Internet without having to individually invest and manage computing and IT resources. Internet and its services are central to European life – at work and at home, indoors and outdoors. The next logical step is to provide the possibility to plug-and-upgrade personal computing capacity and to secure collaborative edutainment space on the fly through managed sharing of IT resources over the Internet. Grid4All will enable Grid services to evolve from high performance computing niche markets to a multipurpose service for anybody. Our team is involved in Grid4All data storage, researching and developing DFS, a peer-to-peer distributed filesystem with a modern and democratic character, that is most suitable for the project. DFS supports other Grid4All components. In particular, DFS supports the Telex framework for collaborative applications, by providing connectivity to its distributed instances through special filesystem structures called multilogs. For more info please visit Grid4All’s website. This project has received funding from the European Union’s Sixth Framework Programme under IST-2005-2.5.4 – Advanced Grid Technologies, Systems and Services.